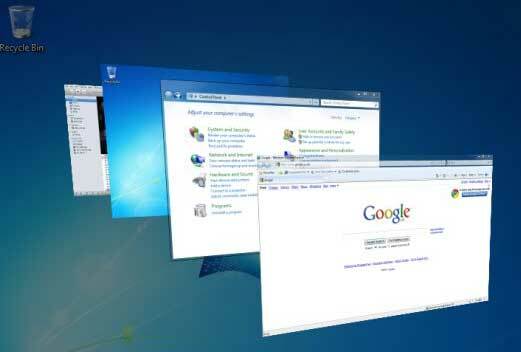 There are two ways to switch between open windows / programs using Aero flip effect. Press and hold Alt key and press Tab key. Press and hold Windows key and press Tab key.